This will prevent you from following certain links on this site. Everyone loves to laugh. 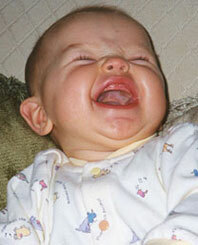 Especially here in Rochester, NY, laughter lightens the heart and enlivens the spirit. And everyone loves to laugh at the foibles of our own species. The answer is simple. Priceless humor involves situations which most of us have experienced... the lost keys, the missed appointment, the misunderstood comment... and the laughable consequences that follow. My CD Parking in Manhattan illustrates many humorous circumstances where listeners can relate to and empathize with the characters involved in hilarious comedy. Priceless situations create priceless humor. Many world stories also capitalize on priceless humor, and the retelling of such stories never ceases to bring gales of laughter and delight to the listeners. Check out Tarantula or Herschel in the Woods from my CD Fables in Four Minutes. Listen to The Egg Seller or Hickory Dock from World Full of Stories. These are just a few examples of priceless humor that will stick with you long after you heard them. As a member of the Harley family for almost 40 years, Jay is one of the school's most unique assets. The Arts & Cultural Council for Greater Rochester named Jay their Artist of the Year. Blogger Eric Koll sat down with Jay over coffee late one night. This is his report.